OK, so maybe Esri doesn’t call the FedUC the FedUC anymore. If you called it something else, I might not know what you are talking about. Anyway, I’ll be in Washington next week Tuesday-Friday to present a talk on how WeoGeo uses Amazon’s infrastructure to do the awesome stuff we do. Amazon has invited us to be with them at their booth showcasing how WeoGeo uses AWS to integrate location-based enterprise data into predictive analytical systems such as Business Intelligence tools. Drop by and let me know if you’d like to talk about WeoGeo or just email me and we can set up a time to meet. It is hard to believe it has been over two years since I was last in D.C. I’m looking forward to it. 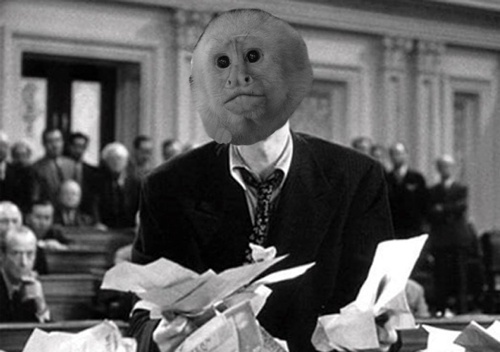 The GeoMonkey goes to Washington and all he finds is lots of paperwork. You guys really know how to throw a party inside the beltway.